The modern workplace is constantly evolving. While in the past, interior designers focused on creating spaces that promote utmost concentration through formal, almost rigid layouts, these days the trend is to create flexible workspaces that promote teamwork and interaction among employees. Agility underpins the design concept for the newly renovated corporate offices of AXA Philippines at the GT Tower in Makati City. Aptly called AXA Home, the newly unveiled facility promises to be a people-centric workplace that is conducive for collaboration and creativity among its occupants. This is a key part of the One AXA vision - the constant process of redefining and transforming systems to improve operations for the ultimate benefit of employees and customers. 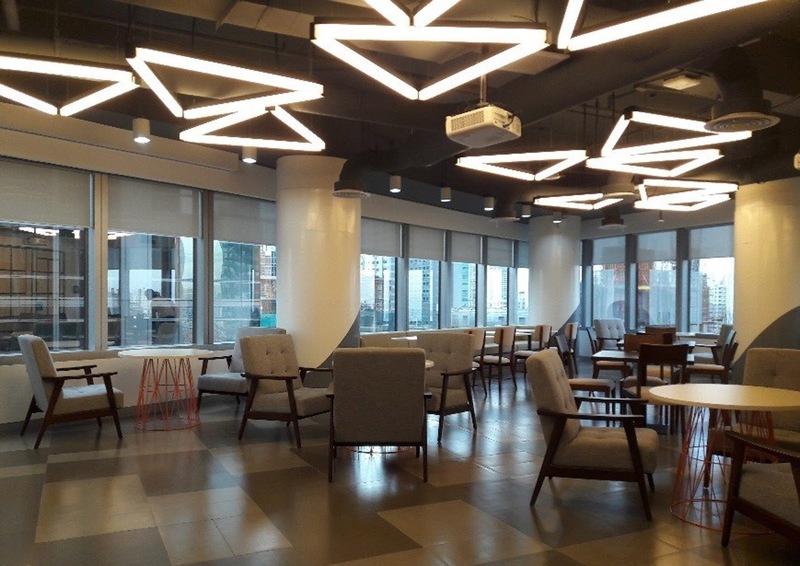 Aptly called AXA Home, the newly renovated corporate offices of AXA Philippines at the GT Tower in Makati City, promises to be a people-centric workplace that is conducive for collaboration and creativity among its occupants. Inspired by native materials and motifs, AXA Home has an overall look that is “proudly Filipino with a modern twist.” AXA incorporated local designs of handwoven textiles, artistically crafted rattan, and sturdy wooden furniture and decor. They are artfully blended with industrial design elements in key areas, notably in the “plazas,” the main hubs for collaboration. In addition to the more artistic and revitalized appearance and feel of AXA Home, a comprehensive space plan was also implemented, which deliberately veered away from the traditional office set-up. Instead, the AXA Home promotes openness, collaboration, and efficiency, particularly in the use of space. Another key feature of the AXA Home is innovation, manifested in the addition of two new rooms: the Innovation Hub and the Social Media Command Center. The Social Media Command Center, featuring state-of-the-art facilities, aims to boost AXA Philippines’ online presence, as well as to increase positive sentiments in the digital space. The Innovation Room, meanwhile, is an area where people from different teams can collaborate and conceptualize innovations that can help them attain their business goals.